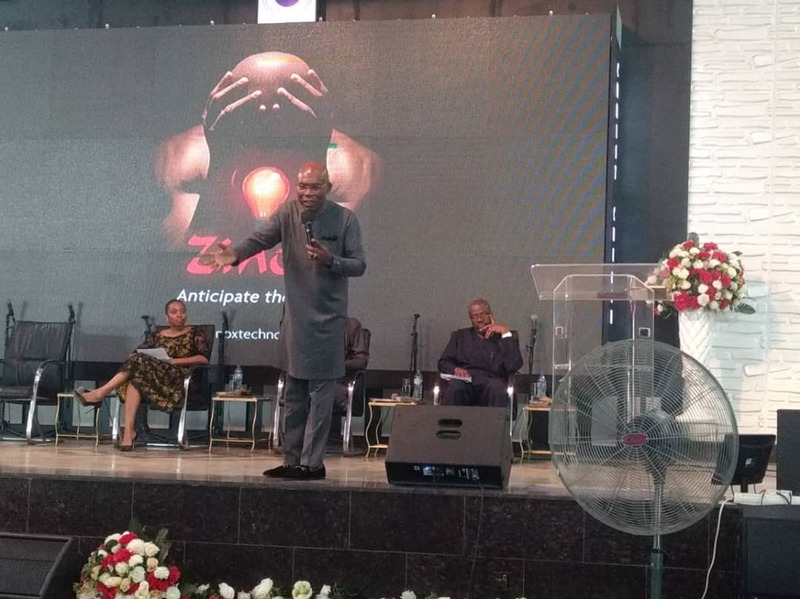 He made this call at an economic summit organized by the Redeemed Christian Church of God, Christ Church Parish on Saturday January 12th 2019. With the theme – Economic Outlook and Prospects in Election Year, the summit saw Ekeh sharing his thoughts on Nigeria’s economy and the future of the digital industry culminating in a standing ovation at the end of his speech. "Same way we helped create a reliable database of voters for Nigeria through the impressive work Zinox has done with INEC and which we have replicated in other African countries such as Guinea-Bissau. Today, we are currently looking to transit the country to e-Voting which will further go a long way in reducing post-election litigations,” he enthused. Urging the members of the audience to retain their hopes in a brighter future for Nigeria, Ekeh encouraged the attendees to rise to the challenge and make a positive difference in their circumstances. “Nigeria is a country with huge potential. There is a future here and no one has a right to stop you: government, individuals or even your father. You must build yourself as a collateral in order to succeed in life. The only way to build that collateral is to be a man or woman of integrity. “In business, you must acquire a big dose of spirituality and always make provisions for your place of birth, in this case, where you do business. Many entrepreneurs transplant foreign technology or strategies here without considering our existential circumstances or the needs of the country. “The challenges of your family or country are things that activate innovation and solutions. If you don’t disrupt, you die. In business, you must trade to lead or you get out of that platform. It is not child’s play. What made you rich will not make your child wealthy, unless they add digital style to it, which is technology. When I say we are in a knowledge century, it means no one can stop you from achieving success. “The failure rate of startups in this country is about 75% and this is a shame to the quality of brains we have in Nigeria. The problem with most of the young people in tech – and this is one of the reasons most tech start-ups fail – is that they do more talking than content and they want to live large. You must incubate and grow. There are so many opportunities to generate creative wealth in the world today. Among the many opportunities Ekeh referenced were digital security, digital lifestyle and growing dynamism in the e-commerce sector. He also disclosed his determination to invest in incubation centres to develop youthful talents through mentoring who will transform the fortunes of the nation. Other speakers at the summit were Dr. Biodun Adedipe, Chief Consultant, BAA Consult; Mr. Abiola Ogunrinde, CEO, Tronica Natural Ltd and Dr. Mrs. Jumoke Oduwole, Senior Special Assistant to the President on Industry, Trade and Investment. 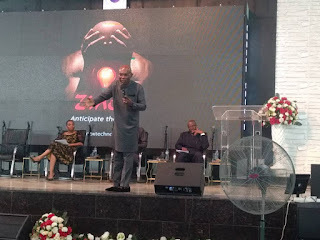 Labels: barrier, Ekeh @RCCG summit, ITRealms, knowledge century offers, license, wealth, wealth without barriers.